Nothing beats a solid digital piano. We love jamming on some keys after a long day of work. I typically prefer my real piano over most but if I’m in the mood, but having a digital piano on deck for home, studio or stage performance can be an amazing investment if you’re serious about your playing. If you’re unaware, a digital piano gives you a different sound as well as feel when compared to a traditional piano. It basically simulates the way a real piano sounds and is played. You also get a lot more advanced features included in the model depending on which one you buy. It all really comes down to personal preferences, uses and needs. We’ll elaborate on the other benefits you get. 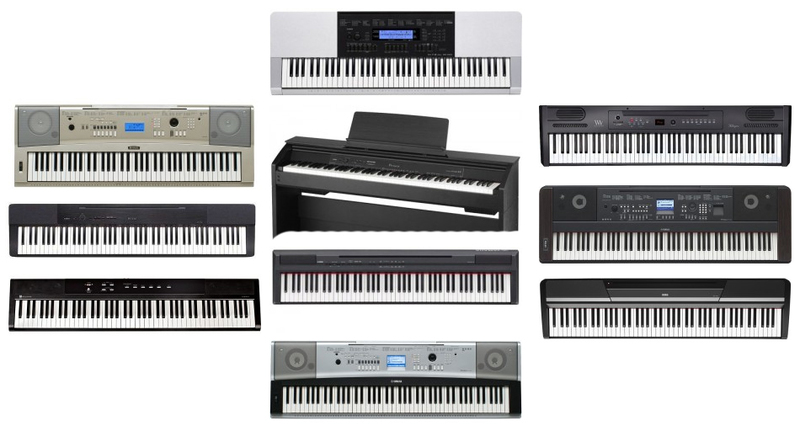 If you’re looking for some of the best digital piano models in the market, we found the top 10 worth looking at.